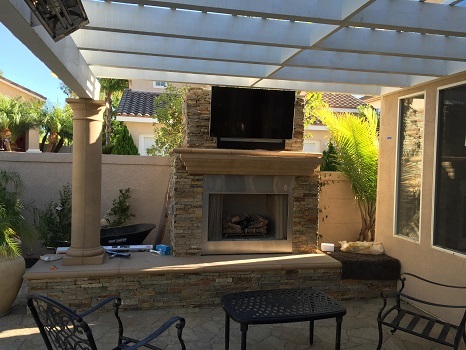 With the beautiful Southern California weather there is no better way to enjoy your backyard than to have us install an outdoor audio video system. Fire up the grill, turn on the outdoor television to watch the game and play some music through your outdoor speakers for the whole family to enjoy. Our systems have a clean and simple look and way to use to enjoy anything from ESPN to Pandora in your backyard. We offer design, and sales of television and speaker equipment. As well as provide outdoor tv installation, whole house music setup, and wireless & traditional hard-wired outdoor speakers installation with hidden wiring. Use your iPhone to turn on your speakers and select your favorite Pandora station and adjust the volume. 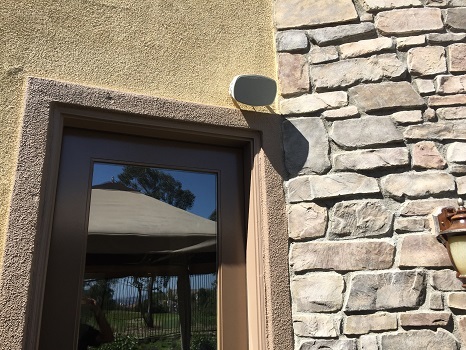 Instantly switch back and forth the sound on your outdoor speakers from music to TV. We have 25 years of experience serving clients in and around Orange County. Our goal is to make technology simple. Figuring out your options for your home and budget is the first step. Allowing us to modernize your equipment creates the cleanist looking and simplest to use system whether you are using your iPhone with Siri voice or Alexa voice. We can provide the equipment, as well as the TV and home audio systems installation. Have us come out to do an in-home consultation to figure out some options so you can make an informed decision.